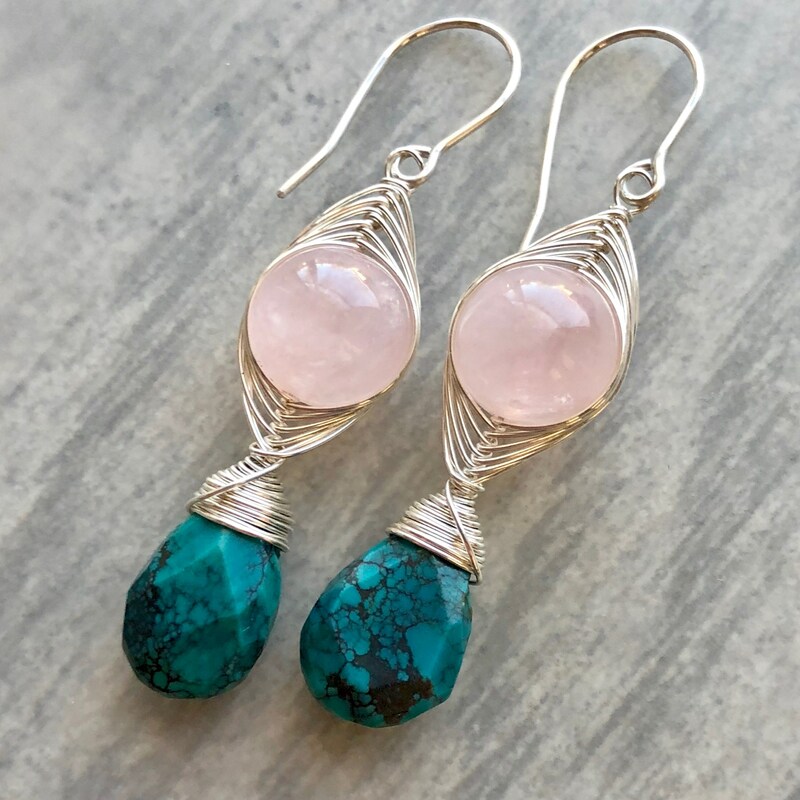 Large, pale pink rose quartz spheres and dark blue, beautifully webbed Hubei turquoise are wrapped together in an intricate silver herringbone weave. 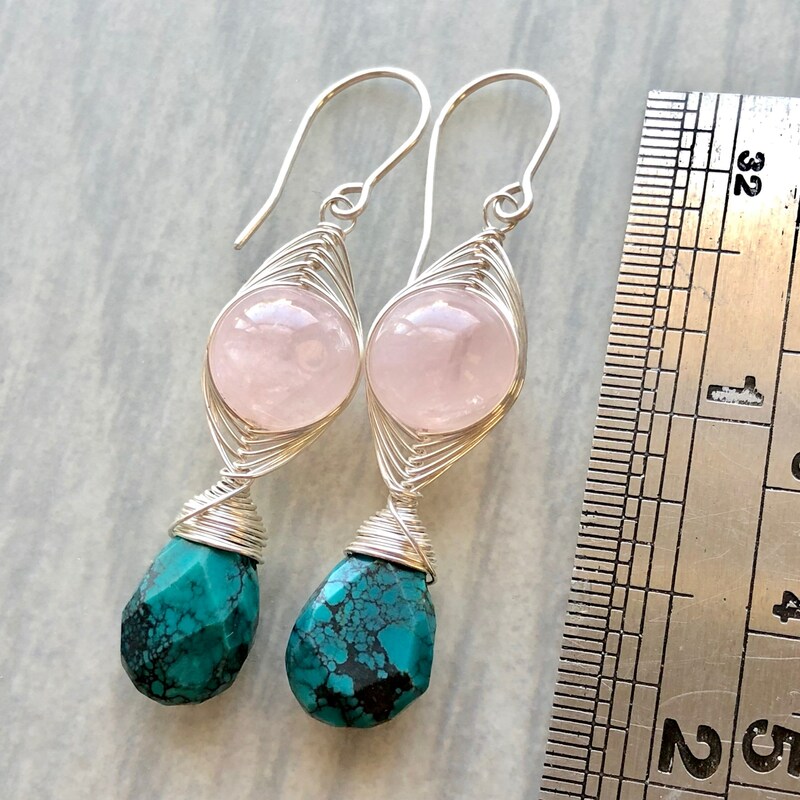 • These earrings measure just over 2" long. • The rose quartz is approximately 9mm in diameter. • The Hubei turquoise briolettes are 15x9mm and have been stabilized for durability. • The silver is 925 (sterling) argentium silver, which resists tarnish.